All popular pooled NetEnt Jackpots have been climbing up and are now together worth an incredible €10 million. Which NetEnt Jackpot do you prefer? 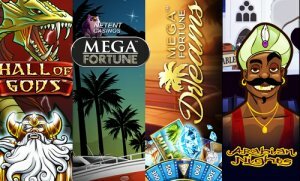 Would go for the good old Arabian Nights™ Jackpot, the multi-million Mega Fortune™ Jackpot or its sequel Mega Fortune Dreams™ or do you hope the gods are on your side while playing the Hall of Gods™ slot? All of them have one thing in common at this moment, offering a pooled jackpot of one million or more waiting for the right moment to create a new NetEnt millionaire. What are pooled NetEnt Jackpots? Although used as one of the greatest marketing tools in the iGaming industry, I’m sure players don’t mind. While enjoying the fun of a video slot, you have a chance to win a multi-million jackpot when you choose for one of the pooled NetEnt Jackpots. 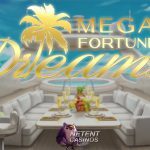 Mega Fortune™, Hall of Gods™, Arabian Nights™, and Mega Fortune Dreams™ are the four pooled jackpots powered by NetEnt and linked to tens of NetEnt Casinos. Because a pooled NetEnt jackpot is linked to tens of NetEnt Casinos, the jackpots available in a pooled jackpot slot game will climb up much faster than any local jackpots. Although I have to admit that the Divine Fortune™ Jackpots climb up pretty quick as well. 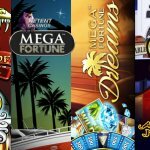 Most probably because the Divine Fortune™ slot was launched at the NetEnt Casinos in January and, therefore, still very popular with the players. 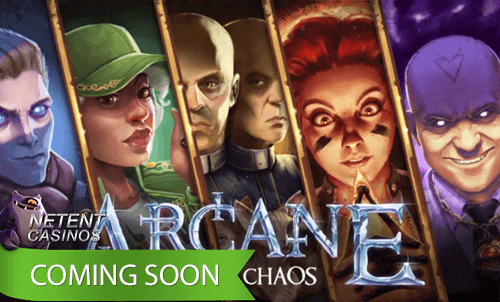 NetEnt is home to some of the largest, fastest growing, and most exciting jackpot games in the iGaming industry and millions of players know where to find these jackpot games. With so many players enjoying the games offering the pooled NetEnt Jackpots, they climb up super fast and if not won for a while, you’ll be able to win a multi-million jackpot. Mega Fortune™ was once featured in the Guinness World Records for a record-breaking payout of €17.9 million which was beaten a few years later. And having a look at today’s NetEnt Jackpots, I don’t think NetEnt is about to take back the record, but who cares, as a player you have four amazing jackpots to choose from with each of them offering a very attractive pooled jackpot. For the moment, I can highly recommend the Arabian Nights™ slot as it has been 26 weeks since the moment this jackpot is usually won. It doesn’t mean a thing as it’s the Random Number Generator is responsible for the next win, but these slot statistics are a great to hold on to anyway.